2011 Bayliner 315 Cruiser 2011 bayliner 315SB Cabin Cruiser. This boat and trailer are absolutley like brand new!!! Must see to appreciate. This boat was purchased new in 2014, It was a new hold over show model located inside Marine Max in Dallas TX. Boat was completely shrink wrapped and transported by a professional boat transport company to ND in the spring of 2014. This unit is designed for salt or fresh water use. At this time this boat has only been used in fresh water. This boat has twin 5.0 liter V8 EFI engines, it has less than 100 Hrs., It has a 5 foot swim deck which extends the length to 37 feet. It also has a Monsoon sound system with three levels of speakers. Also has under water LED programable lighting, Full sun deck cushion package, full eisenglass / tarp weather canvases, automatic anchor system, rear mounted propane grill, super custom triple axle Bayliner trailer with heavy duty aluminum rims, with spare tire. This boat has deluxe interior package, to list a few options, dual LED televisions, full galley with quartz counter tops, fridge, stove, microwave, enhanced LED under cabinet lighting, maple cabinets, on board Kohler pro generator, theraputic mattress, full nautical style bedding and accent pillows, heating and air conditioning, second generation smoke, fire, carbon monoxide detectors through out cabin, full shower and head, power lift engine access cover, very ample storage through out, plus many extras!!! Note, this boat has never had pets, or children in it, and has never been smoked in. Entire boat has Passport Premier Captains Class full aft to stern warranty left untill 4-28-2020. This warranty is fully transferable. Boat was just completely professionally serviced by Moritz Marine in October of 2016. It is water ready!! During off season this craft has always been professionally detailed in and out every fall before going into storage, and has been in temperature and climate controlled storage at 68 degrees F. the past two off seasons that I have owned it! The reason for selling is that I do not use it enough, I wish I had the time to enjoy this beautiful boat, but my business interests have changed and prevent me from going to the lake as much as I would like. BOAT JUST HAD COMPREHENSIVE CERTIFIED APPRAISAL PERFORMED, EVERYTHING PERFECT! Upon purchase I will deliver this boat anywhere in the state of ND. 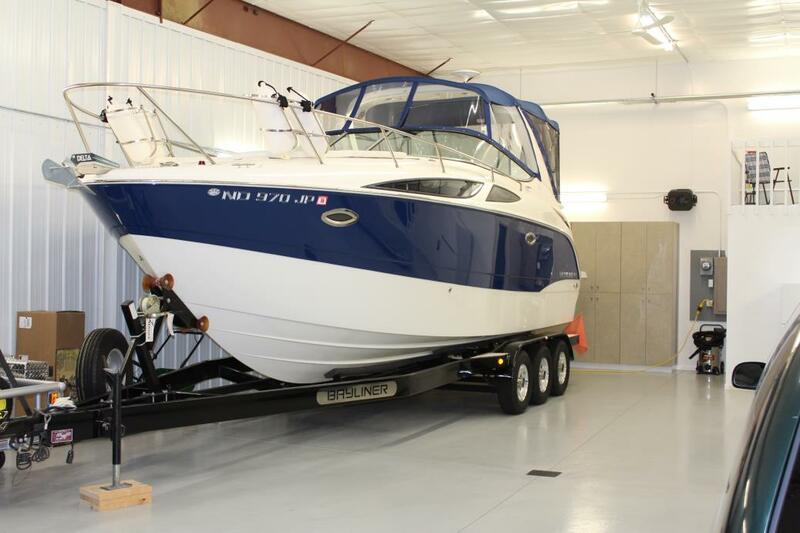 Please feel free to call me at 701-839-4426 or 701-720-4100 for questions or to schedule a time to view the boat.